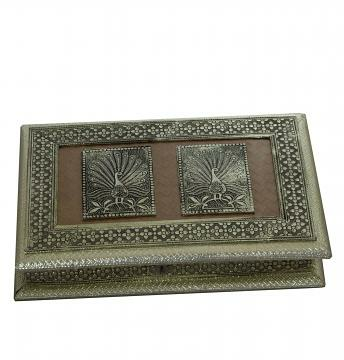 Rajwadi gift box inspired from the Rajwada artwork of ancient times. 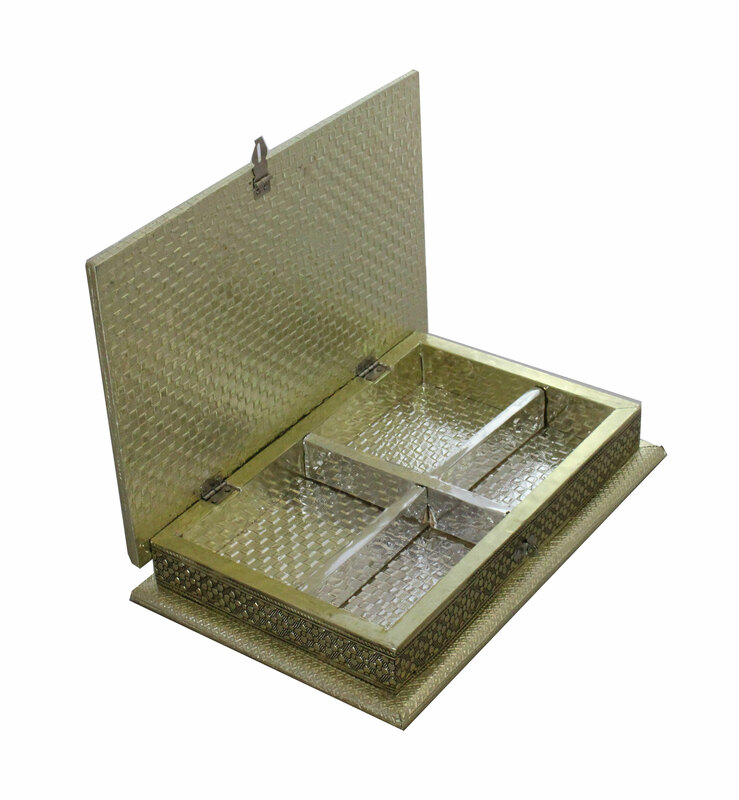 This multi purpose container can be used for many different types of storage. Royal King 16" * 12"
Use this traditional design box for home decor, as dry fruit or mukhwas box, as a return gift during wedding, house warming. Note: Price is per piece. The design may vary. This item in Metal Handicraft category was first added to our catalog on 11-17-2016. Buy Royal Rajwadi Style Dry Fruit Gift Box / Home Decor, sold & shipped by Namaste where you can shop online for Indian Gift Store: Handicraft, Home Decor, Wedding, Rakhi & Diwali Gifts. This Metal Handicraft collection has been tagged as metal handmade box, mughal design, traditional mina work, housewarming, wedding gift, small box, container dabba.